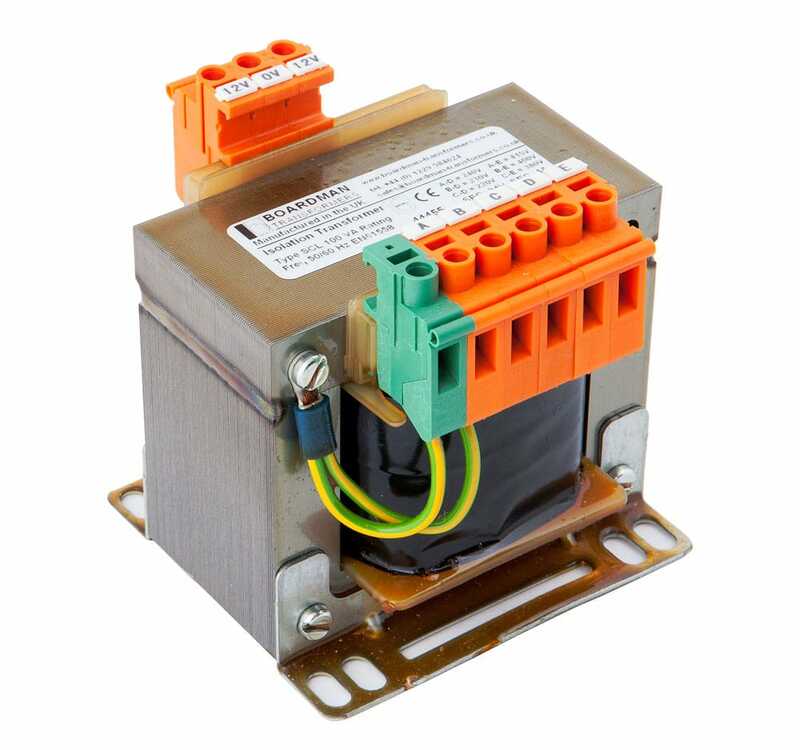 SCL Range Control Circuit Transformers offering 230V and 400V with adjustment tappings. Designed and manufactured to comply with IEC61558. Transformers must be protected against short circuit and overload. The primary side of the Transformer should be protected against short circuit thereby cutting the supply voltage in the event of a short circuit fault. The rating of the primary protection device has to take into account the high inrush current during energizing of the Transformer. The table below gives suggested protection values to avoid nuisance tripping on inrush. The secondary circuit should be protected against short circuit and overload. The value of the protection should be the same or less than the rated output current. For a 100VA Transformer with an output of 110V the Part Number would be SCL100110. Consideration must also be given to the continuous VA requirement. Boardman Transformers' core range of products are available to purchase through many of the leading UK and international distributors and we are always happy to provide details of where our transformers may be bought. Should your requirements be of a more specialist or bespoke nature, we ask that you contact us directly to speak to a member of our team.